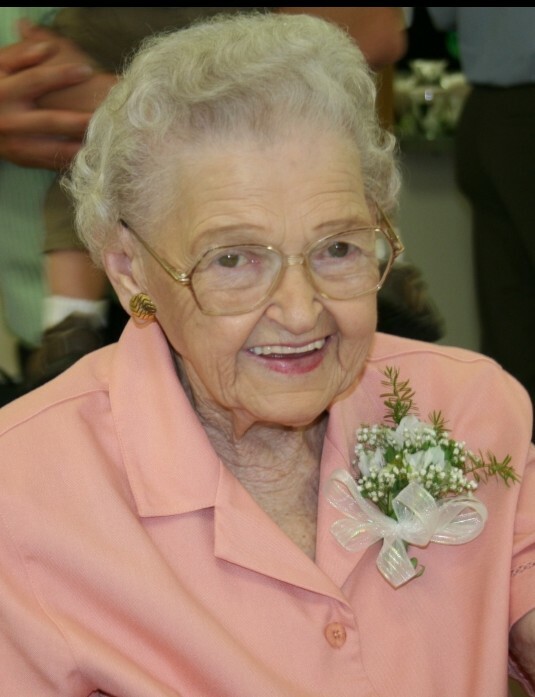 Betty M. Swenty, 96, passed away peacefully and went to be with the Lord on January 20, 2019. She was a resident of Presbyterian Manor for the past six years. She was born on August 25, 1922 in Tulsa, Oklahoma. She married John D. Swenty on November 10, 1945. During their 56 year marriage, they lived in Tulsa, Oklahoma; Missoula, Montana; Ft. Ord, California; Stillwater, Oklahoma; London, England; Lawton, Oklahoma; Pt. Lookout, Missouri; Hollister, Missouri; Brooksville, Florida; and Rolla, Missouri. During the early years of their marriage, she was busy raising their three children while her husband served in the U. S. Army. Betty worked at the School of the Ozarks in the 1960’s as a “dormitory mom” and at the Shepard of the Hills Museum. Retiring to Florida in 1975, she was very active, playing golf daily in the High Point community, participating in various craft groups, and enthusiastically involved in her Bible study group. She and her husband moved to Rolla, Missouri in 1994 to be closer to her sons and their families and her grandchildren. She became actively involved in the Calvary Assembly of God Church and participated in many of the church organizations including the women’s ministry, craft fairs, and senior saints. Betty’s favorite Bible verse was Psalms 23. Betty was devoted to her family and was well known for her contagious laughter. She cared deeply for the needs of others and was always generous with her time and money. Her faith in Christ was the anchor that guided her, especially during the latter years of her life. Late in her life, Betty discovered that her father was on the original 1907 Dawes Roll prior to Oklahoma becoming a state. She became enrolled as a member of the Creek (Muscogee) Nation tribe which was verified by the U.S. Bureau of Indian Affairs. She was proud of her Indian, Scottish, and Irish heritage. Betty loved playing cards and board games with her children, grandchildren and great-grandchildren. During her six years at Presbyterian Manor, she enjoyed playing games and participating in sponsored activities and events. Betty was preceded in her death by her loving husband, one sister, and one brother. Her surviving family includes beloved son Bruce Swenty and his wife Janet of Springfield, MO; beloved son Brian Swenty and wife Constance of Rolla, MO; and beloved son Craig Swenty and wife Kathy of Reeds Spring, MO. The family sends their special thanks to the staff at the Rolla Presbyterian Manor for their loving care. In lieu of flowers, the family suggests donation to the Salvation Army. To honor Betty’s wishes, a graveside service will be conducted at the Ozarks Memorial Park Cemetery in Branson, Missouri at 11 a.m. on January 25.